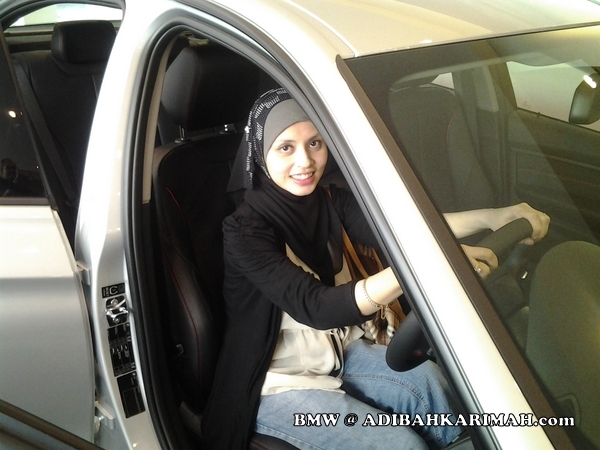 lets have a look the pictures!…its awesome!!..;). 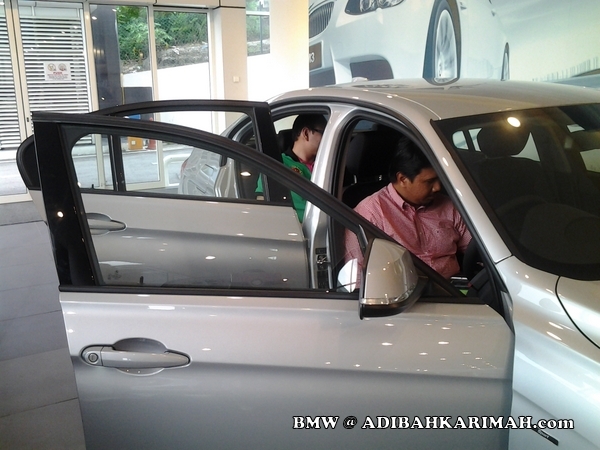 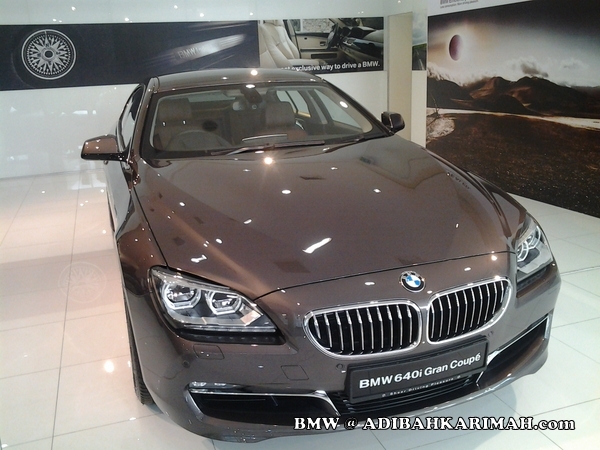 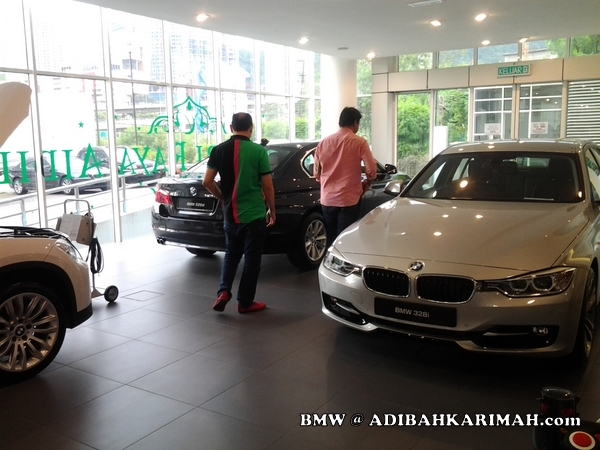 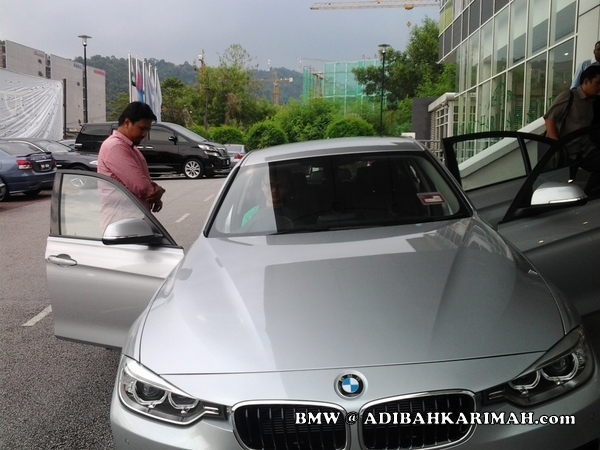 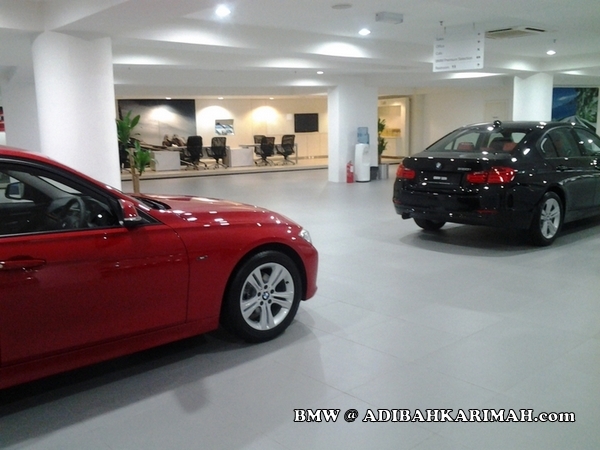 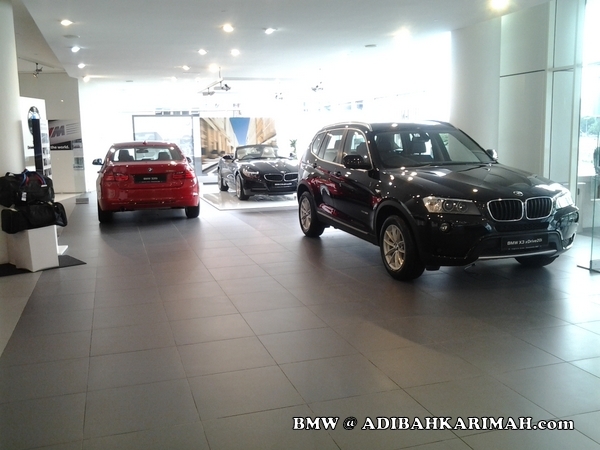 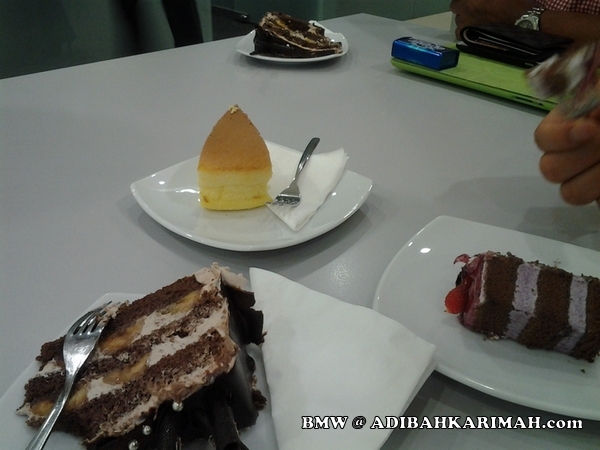 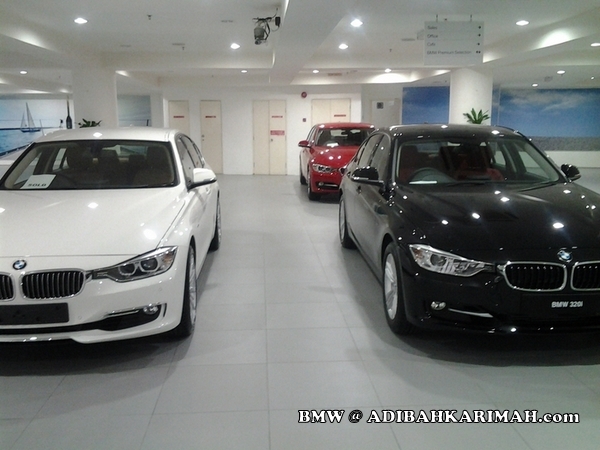 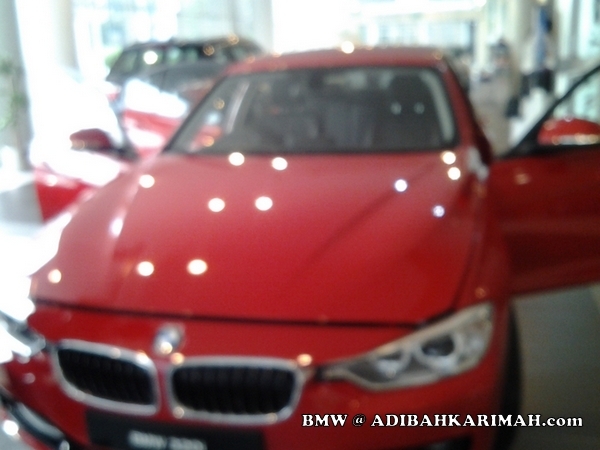 Mr hasbi & Mr raz survey2 then start with BMW 328i…price compared to 320i differs around rm50k..
NOW, its my turn to have a feeling!.. 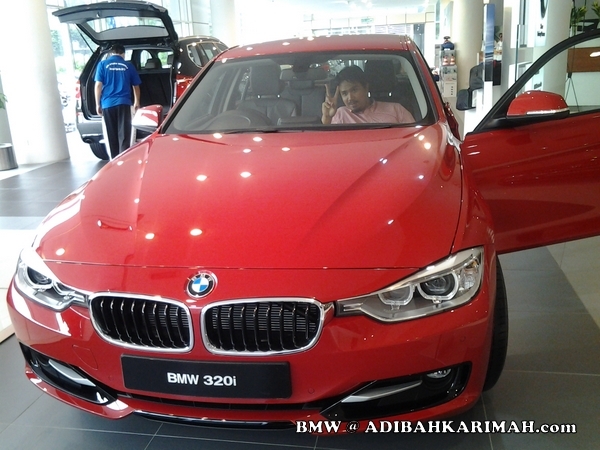 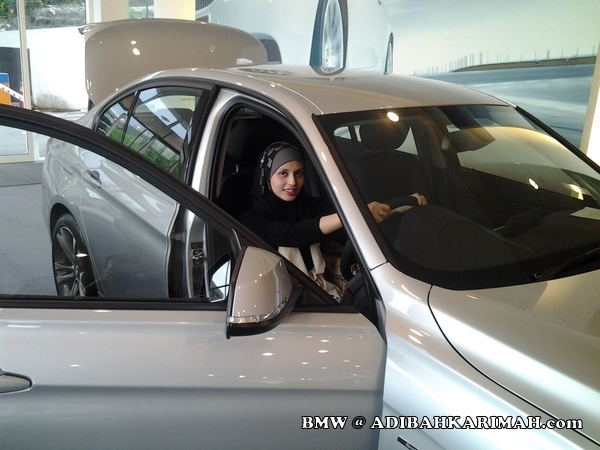 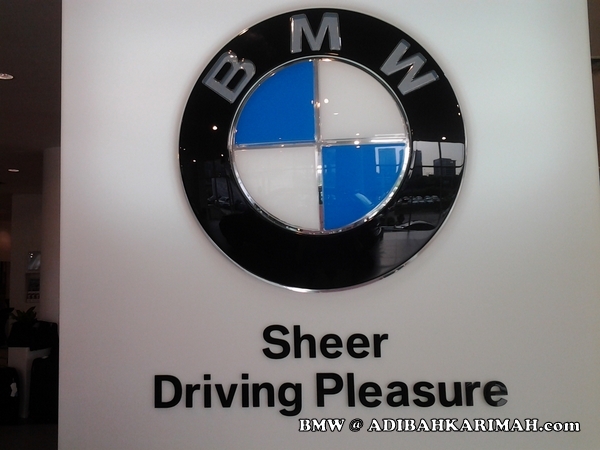 It’s time to test drive BMW F30…start with petrol variant 320i first then followed by diesel 320d…initially mr hubby more interested in diesel becoz of more torque power…. 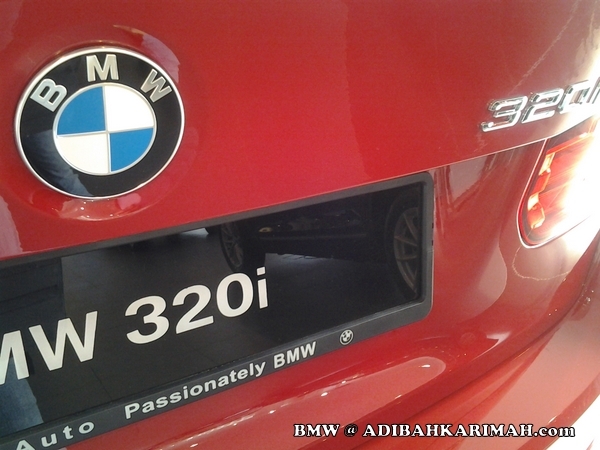 but when you hear da sound of diesel ada sedikit bunyi macam pikap hilux… hehe ;p… walaupun actually this diesel engine noise is a lot much reduced in F30 compared to previous model, we still prefer petrol engine.. 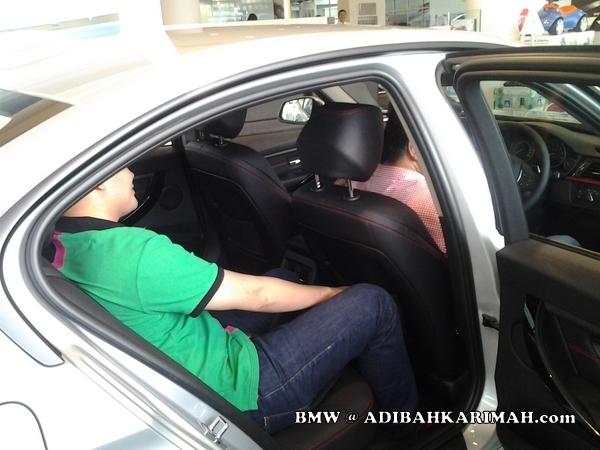 In fact, the 320d sound is quieter than our previous Mercedes Benz C200 Kompressor. 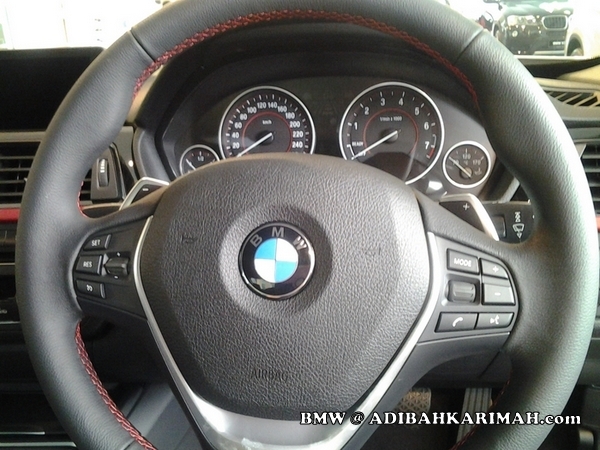 Sampai ada sedara kat kampung tanya kereta you rosak ke? 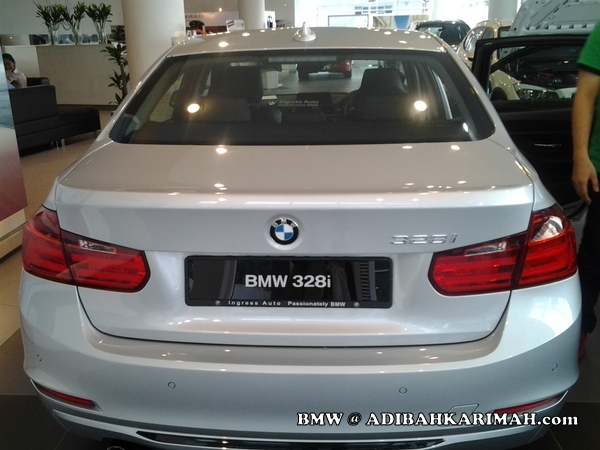 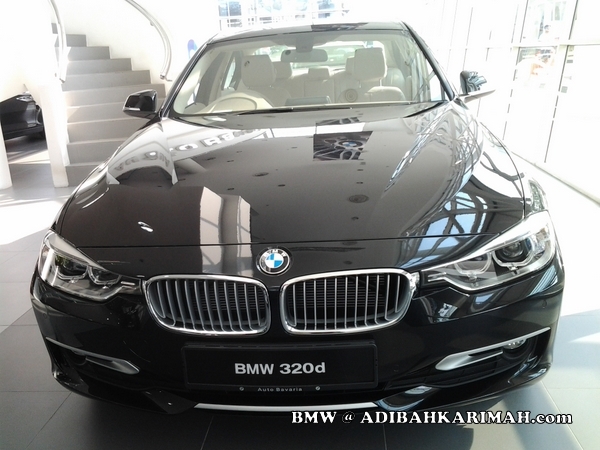 hehe.. taknaklah nanti kalau pakai 320d ada orang cakap kereta rosak lagi… 😉 Finally, we decided to take 320i.. more suitable for business purpose.